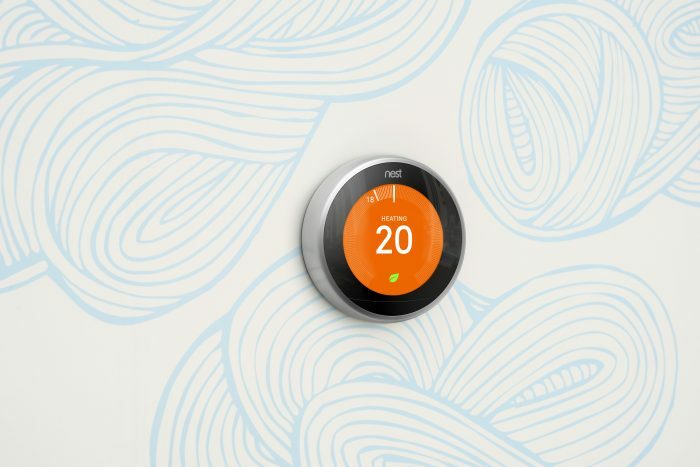 The nest thermostat is perfect for anyone wanting to save energy on a budget. We are certified nest installers and specialise in installing the nest third generation. So what is it? And why do you need one? Before we delve into our top tips it’s worth discussing the issues people have with their current thermostats. We often hear that clients don’t know how to set their heating to the right temperature or are sometimes confused by the number of widgets and settings – this isnt a problem with the nest thermostat it’s so easy to use a child could do it. A nest thermostat has shown to reduce up to 15% off of your heating bills. A study showed that on average it saved 10-12% energy consumption when in cooling mode and 15% whilst in heating. At this rate it won’t take very long until you’ve made your investment back in savings. 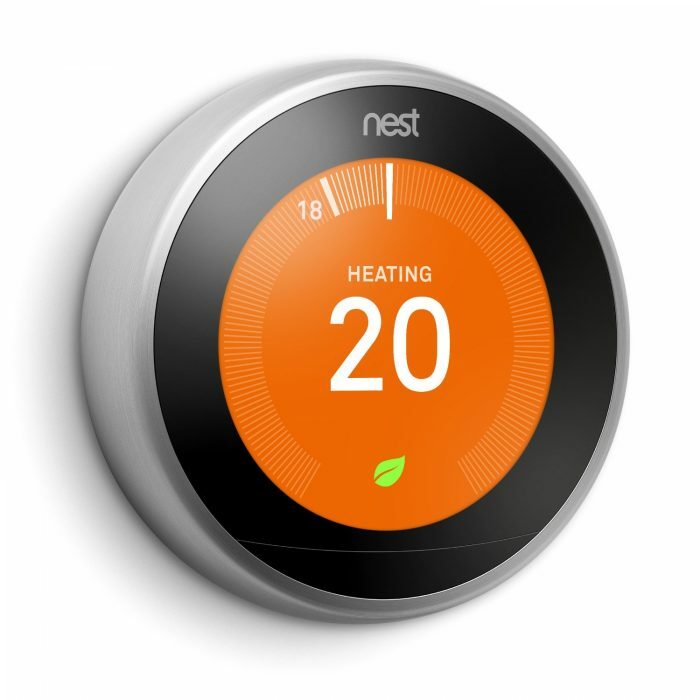 Nest thermostats are also low budget and can be bought for under £200. We can provide the thermostat and install it for a reasonable price. The nest thermostat knows when you’re at home or nearby. This means when you leave the house for work nest can turn off the heating thus reducing energy as it knows no one is at home this means your boiler isn’t working when it doesn’t need to and your not wasting energy on heating an empty household. Studies have shown that we spend more than 50% time away from our homes and this means our central heating is spending time heating an unoccupied household and as discussed above if you’re not sure how to work your fiddly old thermostat it’s very unlikely you’ll know how to schedule it. Luckily the nest thermostat knows when you’re not in and will automatically reduce the temperature when you arent. 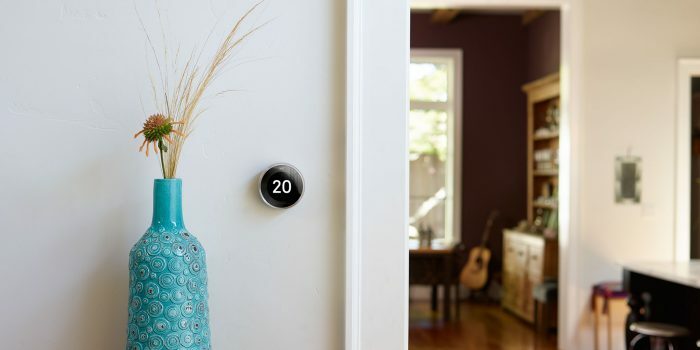 The nest thermostat has a smart schedule that learns from your heating habits. Simply set the nest thermostat into learning mode and it’ll start to monitor when you turn the heating on and your perfect temperature. It also comes with a robust scheduling tool. Have to get up at 6am in the morning? Then use the schedule to make the nest thermostat heat your boiler to a desired temperature. The nest thermostat works with all of our suggested boilers including our new ideal boiler deal which features a 10 year guarantee should anything go wrong. Out at a restaurant and want the house to be toasty for when you get home? Not a problem – simply load up the simple to use nest thermostat mobile app and set your desired temperature. You can also give access to others in your family so they can turn control the heating through their very own account. Woke up too cold during the night? Then simply use the nest thermostat app to turn up the heating directly from your phone. Unlike other thermostats the nest has an attractive, ergonomic modern design which fits well into any household. The way it is built matches the quality of an Apple iPhone but without the pricetag. Or if you’re looking at alternative ways of saving money on your household bills view our other energy saving methods. So there you have it, our top tips for the nest thermostat. It’s worth noting that Nest also have other smart homes products, such as the nest security camera or the nest smart smoke detectors. We can also install these as part of our energy saving packages. Google are also great at updating the nest thermostats software ensuring new features are rolled out quite often. Features such as the farsight integration which will light up showing you the temperature or time (depending on your settings) when the nest thermostat spots you in the room. The nest thermostat also records your energy throughout the month and lets you know month on month how much energy you have saved via an email summary. This means that you have complete transparency over your energy usage and allows you to forecast your expenditure better.